West Bend specializes in insuring businesses related to the security industry, such as alarm installation service and repair, fire suppression installers and repair, armed guards, private detectives, and many others. Here are some examples of these businesses. Every day you find ways to keep people safe. After all, protecting others is your business. But who protects you and your business? West Bend understands and recognizes your business insurance needs and offers an insurance program to protect your valuable assets. 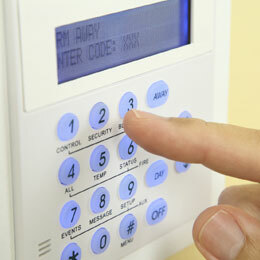 Our claim representatives are highly experienced in handling alarm installation-related losses. Auto Liability. For company-owned cars driven by you or your employees, this coverage provides legal protection for negligence. If someone else gets hurt or you damage their property, it can be costly. We’ll be there with experienced claim professionals and a strong legal team. We also offer Hired and Non-Owned Auto coverage to protect you when employees use their own cars. General Liability. Operating your own business can be challenging. You put every ounce of your experience into getting the job done but sometimes accidents happen and can lead to a claim ... a customer slips on your wet office floor and is injured, an ad in your local newspaper unintentionally offends someone, or an employee drills into a water line during an installation. If that happens, we’ll be there to defend you. Professional Errors and Omissions Liability coverage for design and installation is also available for most accounts. Property Coverage. You’ve invested in expensive equipment; maybe you purchased your own building. Protect these investments with the right coverage at the right price. In addition to a variety of property coverages, West Bend offers the Platinum Pak which provides additional protection, including coverage for computers and employee theft. Protection is your business. You’re always looking for ways to keep people safe. But accidents still happen so it’s important to choose an insurance company that understands and recognizes your business insurance needs. West Bend's program offers overages designed specifically for fire suppression businesses. Our claim representatives are highly experienced in handling fire protection-related losses. Auto Liability. This coverage is for company-owned cars that you or your employees drive and provides protection for your negligence or your employees' negligence. If someone else gets hurt or you damage their property, it can be costly. We’ll be there with experienced claims professionals and a strong legal team. General Liability. Running your business can be challenging. If a customer slips and gets hurt on your wet office floor, if your advertising unintentionally offends someone, or if you mistakenly leave a valve open during the installation part of the job, a claim may be filed against you. You put every ounce of your experience and training to good use designing and installing quality systems. If misinterpreted plans lead to an injury, we’ll be there to defend you. Professional Errors and Omissions Liability for Design and Installation is available for most accounts. Property Coverage. You’ve invested in equipment, created a gathering space, and maybe acquired your own building. Protect these investments with the right coverage at the right price. West Bend offers our highly-valued Platinum Pak which provides a bundle of coverages for your computer equipment and employee theft, just to name a few. You work hard to serve your clients. You don’t stop until the job is done. Every day you look for ways to keep people safe and investigate cleanly, but accidents still happen. The insurance company you choose does make a difference. West Bend understands and recognizes your business insurance needs. We’re committed to supporting you with proper coverage and competitive pricing, as well as with claim representatives who are highly experienced in handling private investigator/security operations losses. Firms doing security work around manufacturing plants, car dealerships, office buildings, etc. General Liability. Operating your own business can be challenging. You put every ounce of your experience and training into getting the job done but misinterpreted or misspoken commands can lead to someone getting hurt. If your investigator improperly collects evidence, if your advertising unintentionally offends someone, or if things go wrong at a post, a claim could result. If that happens, we’ll be there to defend you. Property Coverage. You've invested in equipment, created a gathering space, and maybe acquired your own building. Protect these investments with the right coverage at the right price. West Bend offers our highly-valued Platinum Pak which provides a bundle of coverages for your computer equipment and employee theft, just to name a few.